With just three weeks away, the City Government says it is ready to host the Palarong Pambansa except for the aquatics events. The week-long event will start on April 27. “We have a longer time for the preparation of this event, in fact, the Davao Regional Athletic Association (DAVRAA) Meet is considered as our preparation,” Lawyer Lawrence Bantiding, assistant city administrator, told reporters yesterday during the weekly flag-raising ceremony at the City Hall grounds. “Two weeks ago, regional sports officials visited all the playing and billeting venues and their feedback was good, that the city is ready to host Palarong Pambansa,” Bantiding added. Bantiding said they are ready with the billeting quarters and other playing venues except for the aquatics event. “We are still working on the venue for the aquatics. 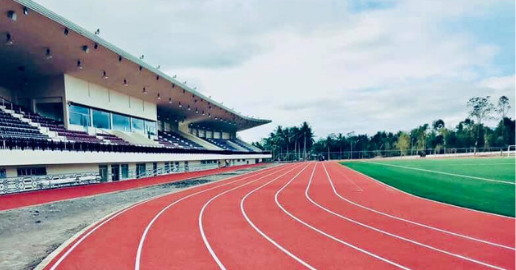 During DAVRAA, we were not able to complete the construction of the swimming pool at the Davao City-University of the Philippines Sports Complex due to the unanticipated weather conditions,” he said. Bantiding said they are hopeful that there will be no more events to be played outside the city, unlike the recent DAVRAA where the aquatics events were held in Tagum City, Davao del Norte. Bantiding said that based on updates from the ground, they eye adding water to the pool this week. “We are also working on the bleachers. We have steel bleachers from Vietnam,” he said. Bantiding said there will be more than 30 other playing venues, both private and public venues. He said the city will support delegates through fetching them from the airports and seaports. “We will provide CTTMO (City Transport and Traffic Management Office) personnel to guide them. We will also provide buses because it is among our commitments during the bidding,” Bantiding said. He said that they will request again the Land Transportation Franchising and Regulatory Board (LTFRB) to provide special permits to passenger vehicles to allow them to ply until UPMin in Mintal especially that it is far from the highway.